In this Program, San Tan teams up with martial arts experts to provide therapeutic martial arts classes. Before and during each martial arts session, the martial arts instructor sets clear guidelines on appropriate behavior for clients. 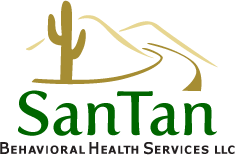 The instructors then conduct therapeutic lessons which promote self-discipline, self-control and self-esteem; additionally, San Tan’s professionals participate with the clients during these sessions. This Program has been overwhelmingly successful as evidenced by improved grades in school, decreased anger outbursts, and increased self-image and self-esteem for each of our participants. Clients test for martial arts belts on a quarterly basis and family members are encouraged to join and support our clients during these tests. No matter their skill or experience, clients that participate in San Tan’s Therapeutic Martial Arts Program learn self-confidence, self-discipline, and self-respect. 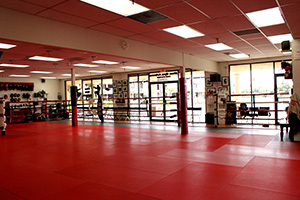 Clients that participate in San Tan’s Martial Arts Program similar to San Tan’s Boxing Program are held accountable to their commitment outside of the gym as well. Clients are expected to maintain at least a “C” academic grade point average and are to follow a specific set of rules and regulations known as the Karate Code of Conduct.